The Warriors have released forward Omri Casspi, the team announced Saturday night. The move is most likely designed to open playoff roster space for budding point guard Quinn Cook. Each team is allowed 15 players on its playoff roster, with 13 players active for each game. Casspi joined the Warriors prior to the 2017-18 season. He signed for the veteran’s minimum, making about $2.1 million. It was widely believed that he took less money to chase an NBA championship with Golden State. Casspi, a nine-year veteran, is the NBA’s longest active tenured player to have never played in a playoff game. Casspi averaged 5.7 points and 3.8 rebounds this season. He injured his right ankle on March 16 and hasn’t played since. Cook’s emergence has come at Casspi’s expense. As ankle and knee injuries have sidelined point guard Stephen Curry, Cook has filled in admirably, averaging 18 points in the past 12 games. 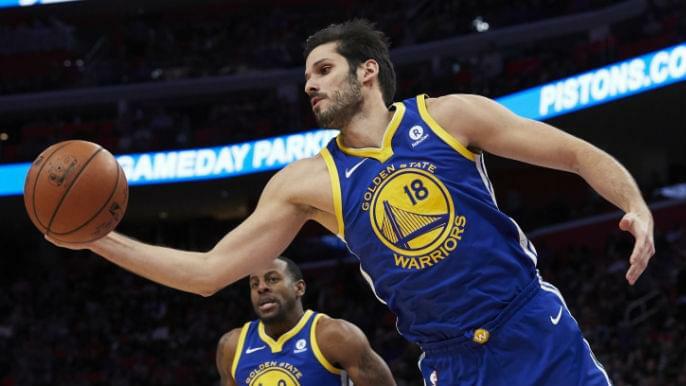 The Warriors waived Casspi, who was on a one-year deal, prior to the deadline for releasing a player on the final year of his guaranteed contract, set at 5 p.m. on April 8.